Oriental sweets are appreciated for its original taste and bright appearance. Feature of cooking - using ingredients that are not typical of other confectionery products (poppy seeds, starch, nuts). 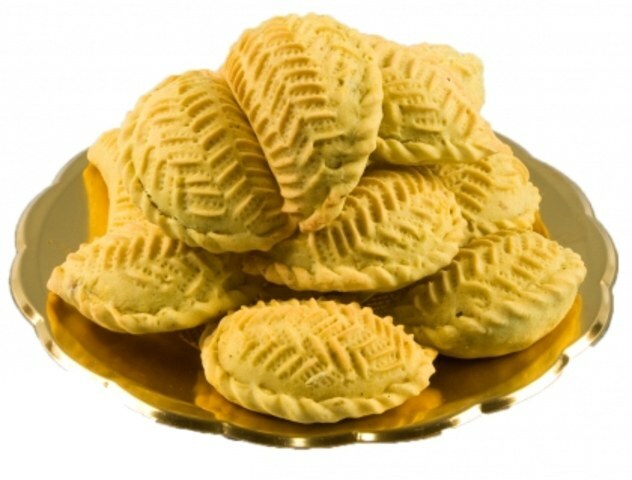 Shaker drill – this Oriental patterned biscuits, widespread mainly in Azerbaijan. Is the dish a delicate crisp wafer shell and a dry sweet nut filling. Traditionally made in Iran on the occasion of the Spring equinox 21 March, which in this country is called Nowruz. Long shaker drill symbolizes the moon, hence its original form Crescent. As to other sweets of the East, shaker borax to cook at home is quite simple. All the ingredients for this dish could not be easy, they are sold in any supermarket. - vanilla, 5 grams (or 1 packet). A little warm milk and pour over the yeast and leave for 15 minutes. Sift the flour into a deep bowl. Add softened butter, sour cream, eggs, salt and yeast coming up. All ingredients mix thoroughly, knead the dough. After this procedure, close it with cotton towel and leave for 1 hour. During this period the dough should come up. Prepare a sweet nutty filling. Grind with a blender selected nuts, mix with sugar, cardamom and vanilla. If there is no blender, the nuts are crushed in a mortar. Approaching divide the dough into several small parts. Each make small balls, roll them with a rolling pin into flat circles with a diameter of 9 cm, Place on tortillas the filling (about 1 tablespoon each), and connect the edges, pulling them a bit. You should get a form like the dumplings. Decorate the shaker borax. Fold the edges in the form of braids, and a special device make patterns. If such devices for no patterns, nothing to worry, the flavour shaker borax will not change, just the look of the dish is not so original. Eastern sweetness bake in the oven for 20 minutes at a temperature of 170оС. Keep the cookies remained light, it should not be browned. Served shaker borax to the festive table the cold tea or other soft drink.